Newly elected churchwide board. Front row: Ann Shelton (left), Barbara Martz, Jenny Michael, JoAnn Fuchs, Jackie Wilson, Diane Frederick. 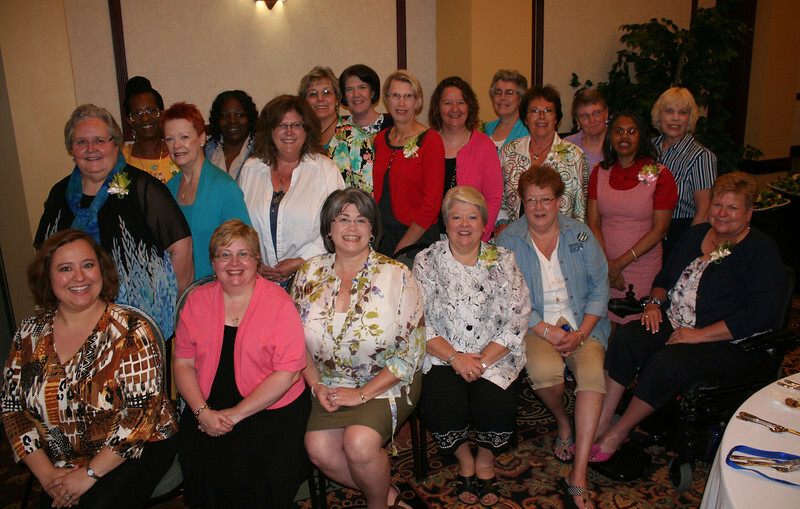 Second row: Phyllis Rude (left), Patti Austin, Dona Jenkins, Syd Brinkman, Gwendolynn Edwards, Betty Brandt,Vicki Murph. Back row: Charleen Walker-Horton (left), Deborah Williams, Susan Drane, Kristine Brugamyer, Betsy Baguhn, and Sandra Lange and Ely Smith. The Rev. Gwendolyn King is not pictured.